First, I'd like to wish all my readers a very blessed Christmas and New Year! To those who've sent me words of encouragement and thoughtful feedback over the years, God bless you. I greatly appreciate it, even if I don't always respond. Let's pray and hope for the best in 2016 and beyond. 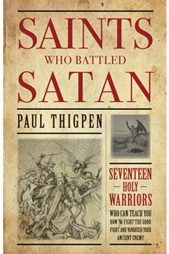 Below is the introduction to the newly-released book Saints Who Battled Satan, by Paul Thigpen, Ph.D. Thanks to TAN Books for allowing me to publish this excerpt in my column. Click here to order a copy. The life of man upon the earth is a warfare. A century and a half before the coming of Christ, the Jewish homeland was invaded, occupied, and desecrated by troops of the Seleucid Empire. Judas Maccabeus was the Jewish general who led his followers in armed resistance to the foreigners and their attempts to force the Jews to abandon their faith. Before one of their battles, Judas exhorted the soldiers to fight valiantly. "He armed each of them," the Scripture tells us, "not so much with confidence in shields and spears as with the inspiration of brave words, and he cheered them all by relating a dream, a sort of vision, which was worthy of belief" (2 Mc 15:11). In this vision, the general saw Onias, a former high priest, "praying with outstretched arms for the whole body of the Jews" (v. 12). Then he saw the prophet Jeremiah, "who loves the brethren and prays much for the people and the holy city." The prophet was a man of "marvelous majesty and authority" (v. 14). Both of these men had died some time before Judas received the vision. But by their prayers, they were helping their brothers still on earth who needed comrades in the struggle – not just for their homeland, but for their souls. The vision concluded with a scene guaranteed to fortify the faith of the soldiers: "Jeremiah stretched out his right hand and gave to Judah a golden sword, and as he gave it, he addressed him thus: 'Take this holy sword, a gift from God, with which you will strike down your adversaries' " (vv. 15–16). The battle soon began, and the Jewish resistance fighters were victorious. This vision of Judas should serve us even today as a consolation and an inspiration. We too are engaged in a critical battle for our souls – and ours is fought against the ancient and powerful Enemy of all the human race. "Be sober, be watchful," St. Peter warns. "Your adversary the Devil prowls around like a roaring lion, seeking someone to devour" (1 Pt 5:8). Thanks be to God that we have as our comrades in this conflict a host of saints in heaven. Now that they have won their own battle and their victor's crown, they stand before God, sharing in the triumph of Jesus Christ their Commander, who vanquished Satan on the Cross. But they are by no means simply resting on their laurels in God's presence. As members of the Church Triumphant (those who can now exult in victory), they are eager to assist the members of the Church Militant (those who must still soldier on in this world). Their courageous conduct when they too were soldiers on earth can provide us with a marvelous example to follow. Because they knew how to fight and defeat the Devil, their wisdom can advise us. Best of all, they now have a share in God's own nature (see 2 Pt 1:4), which includes His power and authority: "If we persevere, we shall also reign with Him" (2 Tm 2:12). So they are able not just to intercede for us but to engage the Enemy directly and effectively on our behalf through the divine power that they share. For the Incarnate Word is our King, who came into this world to war with the Devil.... The king himself is in the midst of His army and proceeds protected and surrounded on all sides by His columns.... All are serving the one King and following the one banner. All are pursuing the one enemy and are being crowned by the one victory. The purpose of this book is to present the stories and insights of a number of saints who battled Satan so that we can become more familiar with our heavenly comrades and more eager to seek their help. From among the many saints I could have included, I have chosen a few, presented in chronological order, whose experience offers a wide variety of compelling lessons in combat. I have not attempted to provide a biography of each saint but only enough information to identify them and to tell about their struggles. In each chapter, I have also tried to present a bit of historical context that notes the features of the broader spiritual battlefield of the Church of that time. My hope is that such context serves as a reminder that our warfare is not just a matter of personal interior struggle, and that the conduct of each spiritual soldier makes a critical difference in the outcome of the wider battle. In many ways, the accounts in this book can be seen as historical illustrations of the spiritual realities and principles laid out in my Manual for Spiritual Warfare (TAN Books, 2014). There, I offer a brief summary of Satan's strategies, as well as the weapons and armor we have been given by God to defeat him. 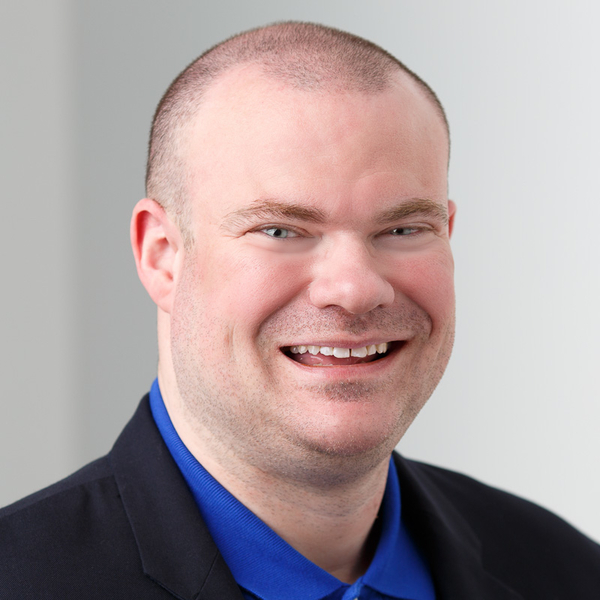 In the present work, we can see concrete examples of how the Devil assaults his foes, not just through extraordinary preternatural attacks but through common temptations, both powerful and subtle. We can observe how the saints have used prayer and fasting, the sacraments, sacramentals, the Scripture, and other spiritual weapons to resist him. And we can discover how the virtues they cultivated protected their souls as a sturdy armor against diabolical temptation and attack. Skeptics may read these accounts and scoff in disbelief. Perhaps they deny the existence of demons or presume that preternatural phenomena simply do not occur. Even so, my personal experiences and those of countless others – not to mention the testimony of Our Lord Himself, Scripture, and two millennia of Christian tradition – have all convinced me otherwise. I present these stories, then, for the same reason that Judas told his soldiers about his vision: They are powerful and heartening, and I consider them "worthy of belief" (2 Mc 15:11). My prayer, then, is that in reading such remarkable accounts of saints who battled Satan, "inspired by them you may wage the good warfare, holding faith and a good conscience" (1 Tm 1:18–19).